This little trip was a birthday present from my (truly) amazing husband. Andrew and I aren't present people. We honestly have never purchased a thing for each other except for trips. That's our one big indulgence, and it just works out that neither of us really like getting gifts (we are both somewhat awkward at heart). But the gifts we end up getting for each other - the once in a lifetime, will always remember, adventures we'll tell our grandkids about - they always end up beating any piece of jewelry in my book. And the Douro Valley is the perfect example. We worked with Wine Tourism of Portugal, and they put a day together that I'm pretty sure I'll dream about forever. Our amazing guide, Fernando, picked us up at our hotel and then escorted us around for a day that was basically magic. The drive is just over an hour from Porto, and considering we were going to be drinking wine all day - a driver was definitely the best bet. The wineries, called Quintas or farms, Wine Tourism set up for us were each different and special in their own right. 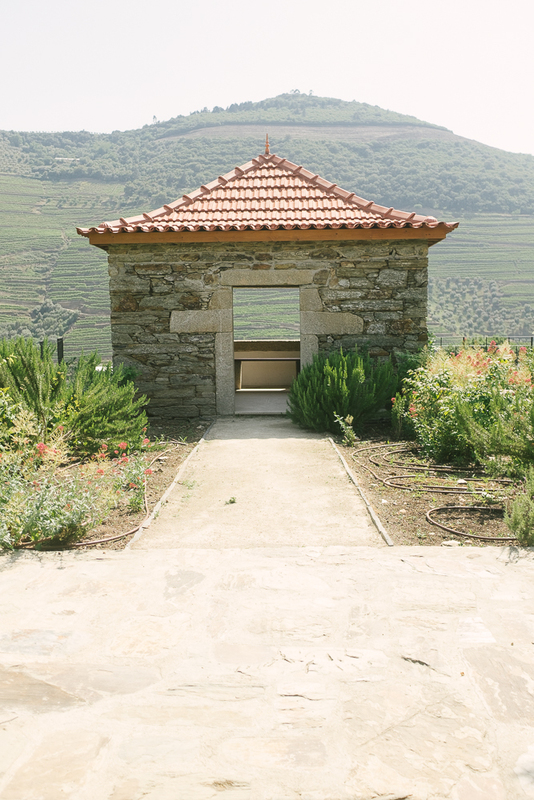 We first arrived to Quinta do Vallado and the views were just breathtaking. It was a warm and perfectly sunny day, and I had to pinch myself a few times to make sure it was real. Our amazing guide took us through the history of the Douro Valley while he carefully explained their wine making process at this property. He was funny and charming, and so informative. And of course, the wine was just lovely. We then drove the gorgeous winding roads to Quinta de la Rosa set high atop a terraced hill. The views were spectacular. We settled in for a amazing lunch at their new restaurant (the chef was amazing) before touring and tasting. This place also has a hotel - and I can't even imagine how relaxing a stay at this property must be! Our last stop on the winery tour was Quinta da Roêda and by this point I was ready to pack my bags and move to the Douro Valley. There is just something about the mountains of terraced vineyards and unreal vistas that won my heart right over. I promise it didn't have anything to do with the wine. After we had our fill of amazing wine (we both actually grew to love port wine to our surprise!) Fernando took us down to a dock where a captain and his sailboat were waiting for our little sunset cruise along the Douro Valley. I think I had tears in my eyes the entire time, it was a dream. The captain served us wine from his friend's vineyard while we enjoyed amazing views and tried to soak up every single second of the trip. Memorable doesn't do this trip justice. If you are headed to Porto and want to see the Douro Valley, I highly recommend Wine Tourism. They were so professional and knowledgeable, and they honestly provided us with one of the most relaxing, lovely days we can remember.